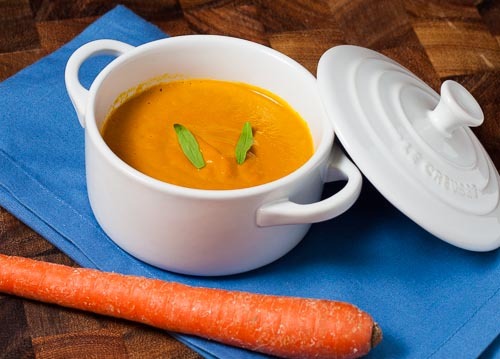 This recipe, adapted from Modernist Cuisine, elevates the standard carrot soup to something extraordinary. Pressure cooking the carrots caramelizes them giving the soup a rich nutty aroma and leaves your entire kitchen smelling warm and homey. Before adding the butter near the end of the recipe you can add as much water as you want to reach the desired consistency. 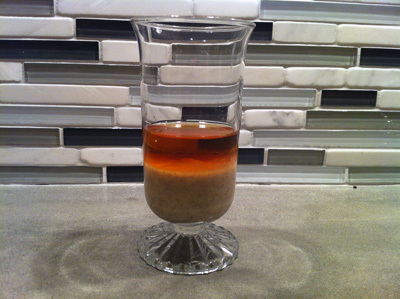 I usually don’t add any to keep it rich and velvety. The recipe also calls for coring the carrots to remove the hard woody center. 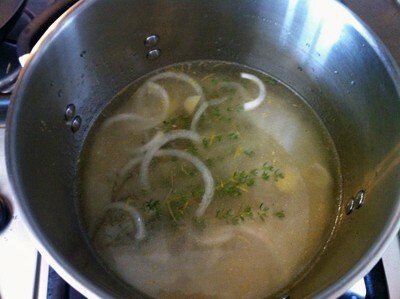 Don’t neglect this step as it ensures your soup has a sweet taste and velvety texture. 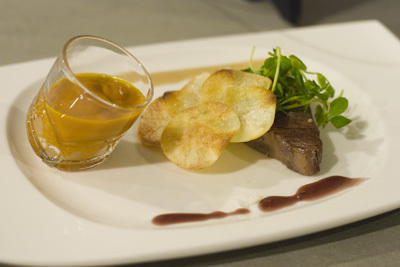 Go to the Modernist Cuisine forum to learn more about other cooks’ experiences with preparing this dish. 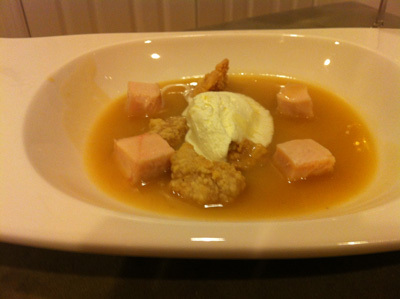 For more inspiration see my epic dinner party that featured this soup. Peel, core, and chop the carrots into 2in pieces. To core the carrots: cut into 2in pieces. Halve these pieces length-wise then halve again so you are left with 1/4 cylinders. 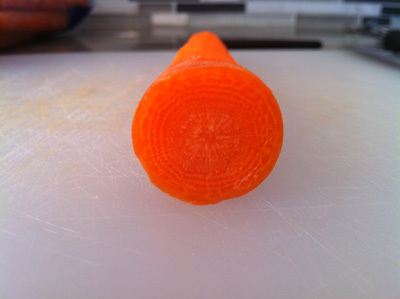 The core will appear as the lighter portion in the center of carrot and should now be easy to cut off using a paring knife. Removing the cores will reduce the weight significantly so you’ll need to start with around 700g of carrots to achieve 500g, peeled and cored. Melt 80g of the butter in a pressure cooker of medium high heat. Add the carrots, salt, and baking soda and stir to evenly coat all the carrots in the butter. Neglecting to cover all the carrots will result in them burning in the pressure cooker. Lock the lid in place and turn to high. When the pressure cooker has come to full pressure, turn the heat to low and pressure cook at 1 bar / 15 psi for 20 minutes. 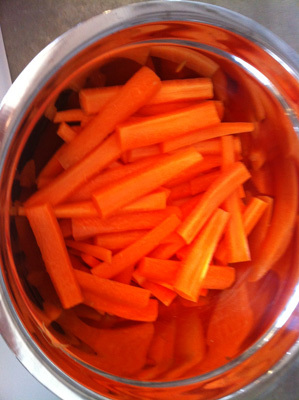 While the carrots are cooking, juice the remaining carrots to obtain 635g of juice. 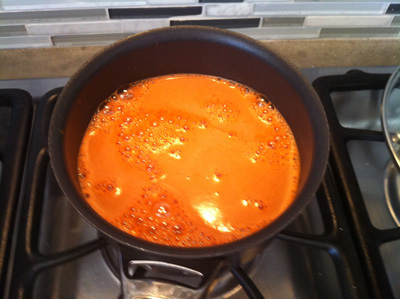 Heat the juice to barely a simmer and scrape off the bright orange foam and discard. 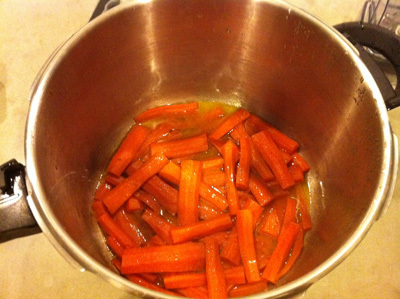 When the carrots have finished pressure cooking, run the pressure cooker under cold water to depressurize quickly. The carrots should be very mushy and have a wonderful brown butter, caramelized aroma. 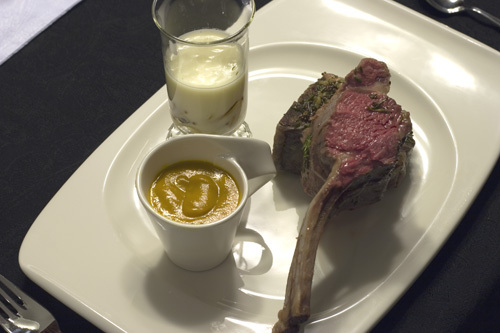 Pour the contents of the pressure cooker into a blender and blend on high until it’s a smooth puree. Add the hot carrot juice and blend on high until well combined. Put the mixture back onto the stove in a sauce pan over medium heat. Add the remaining 60g of butter and stir until melted and fully incorporated. Add salt to taste, pour into serving dishes, and garnish with tarragon. Hi, love your work by the way, just wondering when you say juice the remaining carrots do you mean the cores? and if so how do we juice them? 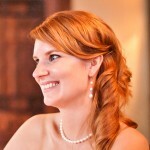 Hello and thanks for the clarifying question! – The recipe calls for 500g of carrots (peeled and cored) and then an additional 635g of Juice from another 1kg of carrots. So, when I say juice the remaining carrots I’m referring to the other 1kg of carrots. I use a Breville, which works really well for both hard and soft produce. Good luck and hope that helps.